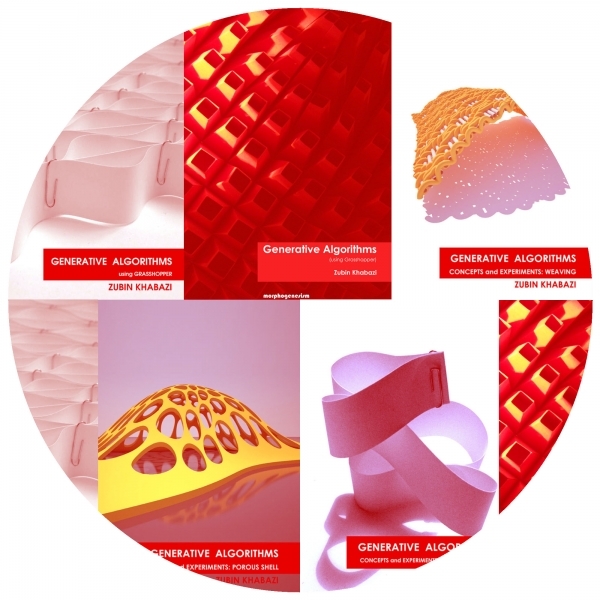 The idea behind “Generative Algorithms” series was to share the knowledge of algorithmic design using Rhino and Grasshopper. These e-books have been developed to cover the algorithmic thinking of how material systems could be developed hand in hand with computational design and how a design could be prepared for further digital fabrication. They have been published in Grasshopper tutorial page.